Dr. Tamara Odom-Maryon is a Professor of Research in the Washington State University College of Nursing. She has been with the College of Nursing in this role for eight years. She has a strong background in data management, analysis, summary and presentation that includes more than 25 years of experience working as a biostatistician in a variety of settings and over 60 publications. 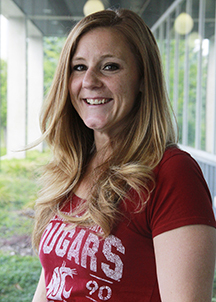 As a Research Professor at WSU and as a Biostatistician in the Nursing Research Office, Dr. Maryon is responsible for providing project management and statistical consultation as well as providing assistance with grant and manuscript writing. She is currently involved in several funded grants from a variety of areas (see Funded Research). 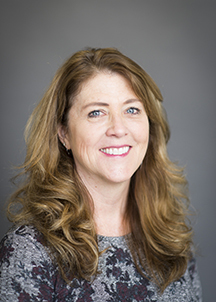 Dr. Maryon has published articles with WSU colleagues around research from a wide spectrum of topics including environmental health, the effects of brief monthly practice on CPR and ACLS performance, suicide prevention training, differences in provider prescribing practices, relational health theory, waterpipe (hookah) tobacco smoking cessation, and the evaluation of interprofessional approaches to teaching and practice. Prior to joining WSU, Dr. Maryon worked for ten years at the City of Hope National Cancer Center in Southern California and at University of Southern California. Application of statistical methods, with an emphasis on longitudinal data analysis techniques, to health sciences data. A secondary area of interest includes methods for evaluating interprofessional approaches to teaching and practice. Effects of Sleep Deficiency on National Guard Personnel Responding to Disasters (TSNRP). Investigator: Denise Smart, DrPH RN. The influences of nursing school characteristics on NCLEX-RN® pass rates: A national study (NATL CNCL ST BD NURS). Investigator: Lori Brown, PhD RN. Relational Health of Adolescents in Chemical Dependency Treatment (International Nurses Society on Additions). Investigator: Roxanne Vandermause, PhD, RN. Oermann, MH, Kardong-Edgren, SE, Rizzoli MA, and Odom-Maryon, T. Establishing Inter- and Intrarater reliability for High Stakes Testing using Simulation. Nursing Education Perspectives (In press).